You can, in theory, fly a faster landing speed than the default Vref of 1.3*Vso. But it’s wasteful in the round out and potentially very dangerous on short field landings. When an airplane lands, the pilots needs to enter the round out with only enough energy to arrest the descent and establish the airplane in the correct attitude for touchdown approx 1-2 ft above the runway. The airplane should be then quickly be exhausted of energy and set down on its landing gear, ideally within the first 1/3 of the runway length. Excess speed here combined with the dramatic reduction in induced drag due to ground effect will cause the aircraft to ‘float’ down the runway until it slows enough and touches down. Attempting to force the airplane onto the runway with forward elevator pressure is hazardous as the PA-28 in the video below shows. A fundamental rule of flying airplanes is never force an airplane to land if it does not want to. Go around and try again. A graphic example of why floating is risky on short field landings comes from this one of a Piper Aztec attempting to land at Gustaf III on St Bart's. Pilot was too high and 10-15 kts too fast. The float used up critical runway the pilot needed for braking and by the end was unable to stop with the runway available. Keeping too much speed in an approach in any airplane can be risky depending on how much runway you have as it all has to bleed off before you can stop. It's a great way to end up in a hedge. Extra airspeed means you'll either float in ground effect for a very long time, or if you somehow manage to get the wheels down you won't get much braking action as the wheels won't have much weight on them on a tricycle configuration, in a tailwheel configuration you will have braking action but you'll have to be gentle or you'll nose in. In fact, trying to hold down an airplane that is far over rotation speed is tricky, and it can all go wrong. There's no good reason you'd want to try this unless you had some sort of condition in the airplane that necessitated it. Landing fast isn't good for your tires, the extra ground speed will cause more wear on initial contact as the wheel has to spin up that much faster. Your brakes could overheat or at least would wear out faster as well. Other than that I can't think of any particular damage or wear. With tricycle gear airplanes the limitation is mainly pitch attitude in the landing flare so you don't come down nosewheel first, which is very bad on the nosewheel and ultimately on the airplane. So you need to be slow enough that the mains will touch first with landing flap. But beyond that it's just wear and tear on the tires and brakes. With taildraggers it's a different story. If you do wheel landings (tail high touchdown), which is my preference, you can, in theory, fly the thing on to the runway at any speed you want within reason, limited only by what the tires can take and possibly propeller clearance if going too fast. In fact a normal wheel landing is done quite a bit faster than a 3 point, touching down in a relatively level attitude maybe 10 mph faster than a full stall 3 point landing. You actually fly the airplane down to about 1 or 2 feet above the surface and push the stick to plant the mains when doing a wheelie. I don't think there's anything inherently dangerous about landing a light aircraft faster than the prescribed speed, however you're unlikely to be very successful. The most likely outcome is just a continuous float down the runway until the airspeed drops off anyway. Landing an aircraft is more or less stalling the wings in a controlled manner, very close to the ground. This causes the wings to no longer be taking the weight of the aircraft, and gives you the ability to use wheel brakes. When landing a plane the stall horn should sound just as you touch the ground, and this is basically how you land: Gradually reducing lift from your wings to the point where the plane's weight fully rests on it's wheels. If you go too fast there might be too much lift to touch down! Landing at a low descent rate won't damage the airplane at all, but the higher ground speed required to do so might, as others have pointed out. While you can attempt to land at high speeds, the lift still produced by the wings can make it hard to stay on the ground and keep the plane intact at the same time. 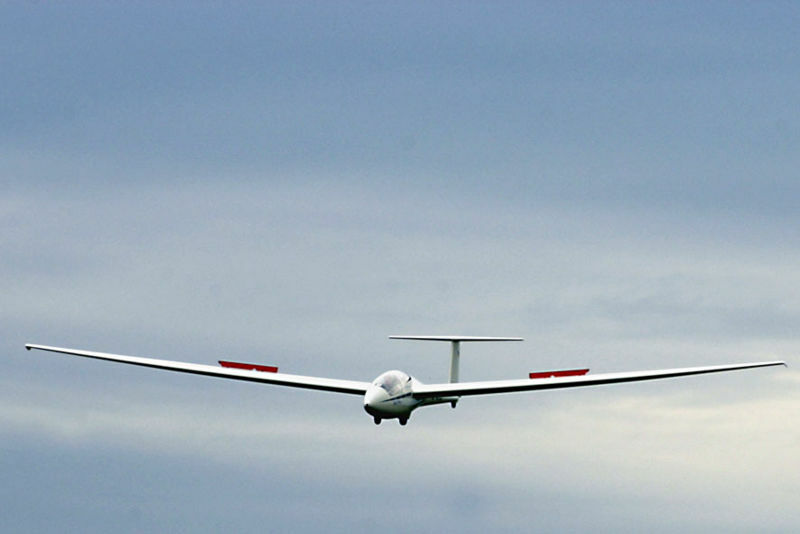 Gliders, which are obviously very light, use airbrakes to reduce lift/increase drag drastically when descending and landing. For planes without any airbrakes a fast approach most likely results in a long float above ground due to the lift, or a long roll on the ground, for which you may not have the room on short airfields, as mentioned by others already. A couple years ago a pilot flying our club-owned ultralight arrived back at the airfield. They wanted to get it down quickly, my guess is because of gusting winds, but unfortunately their airspeed was way too high for landing. I do not know whether this was due to the winds or pilot error. Instead of going around, or using the generous runway length to slow down further, they wanted to touch down early. The plane was still floating above ground because of it's high speed, so they pushed the nose down in an attempt to land it, which is almost instinctive, but also very wrong to do. The plane bounced off the nose gear two or three times before it collapsed. Prop and nose hit the ground, slowing the plane down rather quickly after that. Nobody was hurt in the crash, but the plane was trashed. Trainees at the airfield learned a valuable lesson that day: Why you should land at appropriate speeds.  If a tricycle-geared airplane attempts to land with too much speed, the nose wheel touches first, which has all sorts of undesirable dynamic consequences. The position of the nose wheel gives it plenty of leverage, and if it touches with any force (or the ground has any roughness), it will pitch the airplane nose-up, and the airplane has sufficient extra speed to balloon as the angle of attack increases. Once it leaves the ground, however, the aerodynamic controls reassert themselves, and the pilot is holding the elevator in the position that led to the high-speed touchdown in the first place. Unless he does the right thing at this point, which is to hold off until the speed has decreased (or go around), the nose wheel will come down again, probably harder than before (especially if the pilot tries to force the airplane down), and the cycle will repeat. Furthermore, if the rotation of the airplane causes the main wheels to touch, this will immediately bring the nose wheel down again, hard. This can be seen in the first of Carlo Felicone's videos, where this starts happening after the second or third bounce, and after about six more increasingly violent and rapid bounces, the nose wheel collapses. Your problems are not over if you manage to get through this phase. Now you are "wheelbarrowing", with most, or all, of the contact force being borne by the nose wheel, and any bump on the ground before you have slowed down to a correct landing speed can start the above cycle of bouncing. Furthermore, with the point of contact being well ahead of the center of gravity, you are unstable in yaw, and the slightest swing, uncorrected side-wind or drift could start a groundloop. It is basically the same reason as why taildraggers are more at risk of groundlooping, but with a longer moment arm. I like to view landing as a critical transition period between two distinct regimes of vehicle control. The way that you handle an aircraft is incredibly different in these two regimes and many landing accidents have failing to completely transition from the flight phase to the ground-handling phase as a primary factor. The whole idea behind the flare is to have the wheels touch the ground at nearly the same instant that the wings stall when the aircraft is in the proper landing attitude at the correct speed. And though landing incorrectly will often put you in an attitude that is detrimental to the aircraft, I would argue that its design and gear location are driven by this purpose rather than the landing attitude being driven by the aircraft/gear design. One operation where this is quite visibly apparent is in landings with very high crosswinds. Since the method for handling an aircraft in a crosswind are particularly different in the two regimes, the maneuvers to transition between the regimes at landing are necessarily very pronounced. Sometimes you will even feel like you have to force the aircraft into the transition in extreme conditions. If you have experience riding motorcycles, I find it quite similar to the difference between low-speed handling where you simply turn the direction you want to go, and where because of wheel's gyroscopic procession you actually counter-steer at high speed. Not the answer you're looking for? Browse other questions tagged landing general-aviation ultralight groundspeed airplane or ask your own question. What aircraft has the highest suggested landing speed? How do you determine the proper rate of descent for landing? In the traffic pattern, what is the appropriate distance from the runway for the downwind leg? Does ground speed represent the horizontal speed measured at sea level? Would there be any further restrictions on the Zapata Flyboard Air than current FAA regulations for ultralight aircraft? Why do some airplanes fly at a very low speed (like this one) at a speed of 433 km/h (234 knots) at a whopping high altitude of 26,500 ft? What are the effects of headwind strength on landing?